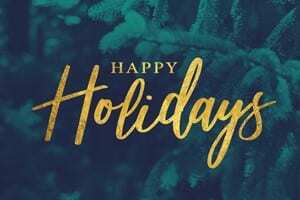 Happy Holidays from Floyd Hunter Injury Law! It’s official-the holiday weekend is only a few days away, and millions of Americans are preparing to hit the road or sky to get to their holiday destinations on time. AAA predicts that 107.3 million Americans will be traveling by planes, trains and automobiles from Saturday, Dec. 23 through Monday, Jan. 1—the busiest travel period on record. Avoid peak travel times – when planning your travel time, avoid peak dates and times. This year’s peak travel times are Saturday, Dec. 23 and Monday, Jan. 1. Know your airport – if you are traveling by plane, make sure to know your route! Checking alternate airports can help in the long run; the smaller the airport, the fewer flights and delays! Leave early – make sure to give yourself extra travel time in case there is a delay on the road or in the air. If you are flying, plot your connections carefully keeping in mind larger airports have more delays. If you’re traveling by car, know your route and avoid heavy traffic areas, such as highways. Travel early or late in the day – in order to avoid hitting major traffic or experiencing any delays make sure to leave early or late in the day. Stay calm –Traveling during the busiest time of the year can be a little chaotic. Be prepared for delays and keep your cool. Remember to take some deep breaths! Don’t speed – Give yourself plenty of travel time to get to your destination, since there will be way more traffic than usual. Don’t drink & drive – whatever you do, wherever you go, just don’t consume alcohol, then get behind the wheel of a car. Even if you think you’re not drunk or intoxicated, your reaction time is considerably slower after alcohol consumption. Don’t risk it. Don’t text & drive – when behind the wheel of vehicle, especially with loved ones in the car, keep your eyes on the road, your hands on the wheel and your head looking straight ahead at traffic. Keep provisions in the car – Always keep bottled water and a blanket, have a full tank of gas, some snacks to eat and jumper cables. You never know when you will hit a storm or breakdown, so be prepared! Happy Holidays from Floyd Hunter! If you or a loved one are seriously injured in a motor vehicle accident that was not your fault, call the experienced Alabama Car Accident Attorneys at Floyd Hunter at 334-452-4000. When you call, you’ll receive a FREE case evaluation. There is never an attorney’s fee due upfront and we don’t get paid until you do. It’s that simple. The Montgomery AL car accident attorneys will fight hard to protect your rights after an accident. We will fight to protect your rights to the fair insurance settlement that you deserve when injured in an accident. Call Floyd Hunter Injury Law for a Free Legal Consultation at 334-452-4000. Call Floyd Hunter Injury Law, because the right lawyers make a real difference.